Click on the "Events" tab (in the manage toolbar) and edit the event using the "Edit" button. 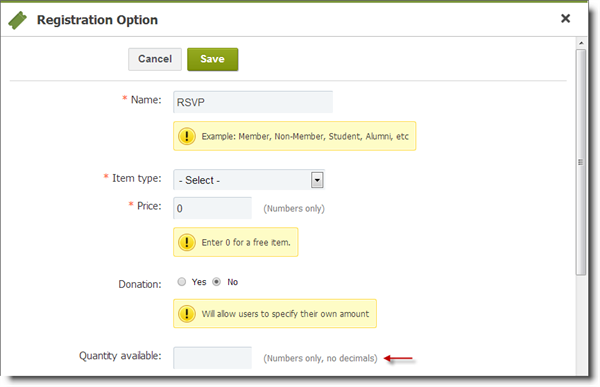 Click on the "RSVP" link in the "Option" column. You can also click on the "Edit" link in the last column of the table. Insert the maximum number of attendees in the "Quantity available" field.